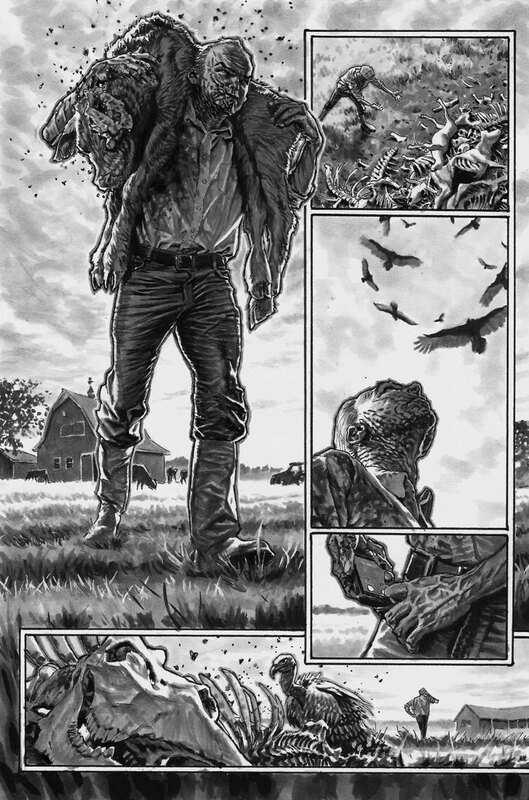 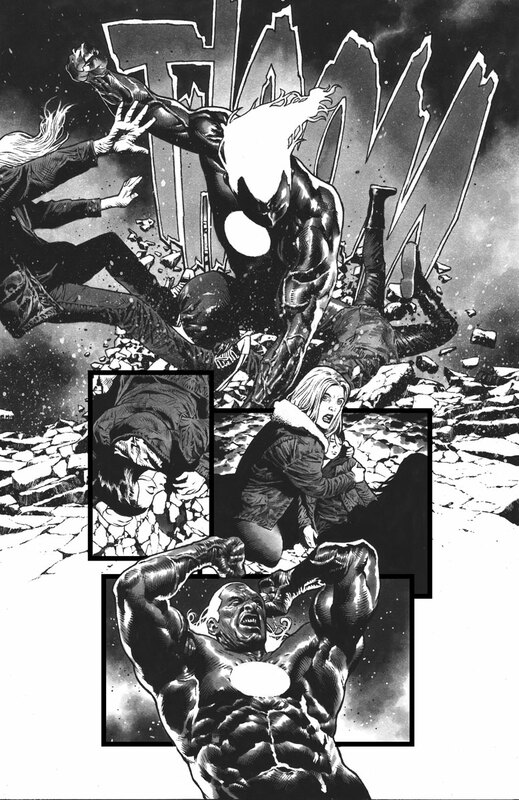 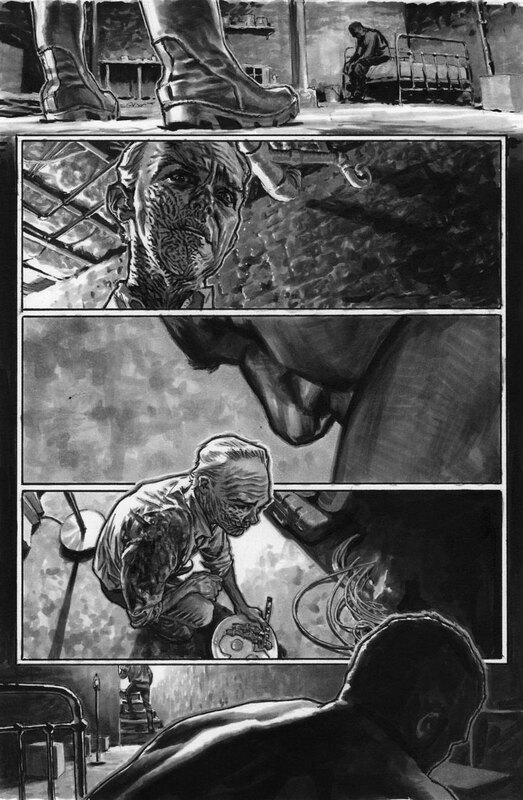 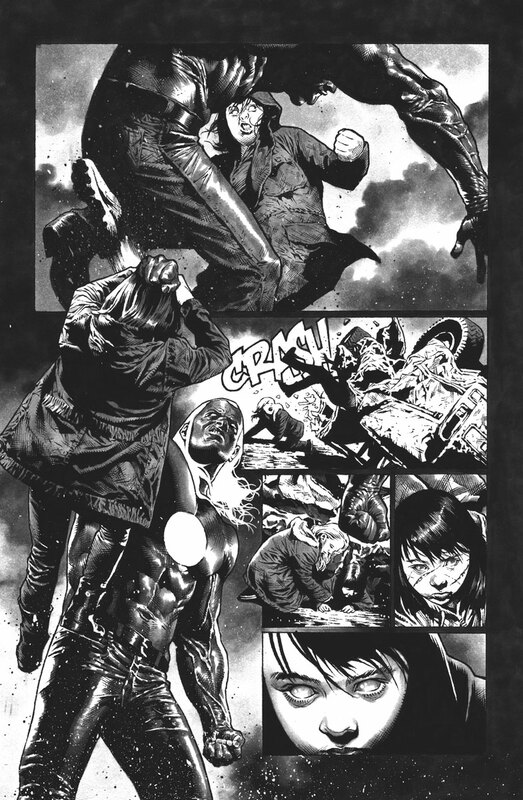 As revealed at Newsarama, Valiant is proud to present your first look inside BLOODSHOT SALVATION #2 – the next bone-breaking chapter of the BLOCKBUSTER ONGOING SERIES from New York Times best-selling writer Jeff Lemire (THE VALIANT, Moon Knight) and extraordinary artists Lewis LaRosa (BLOODSHOT REBORN) and Mico Suayan (BLOODSHOT REBORN)! 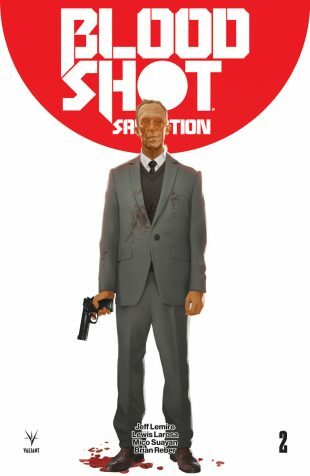 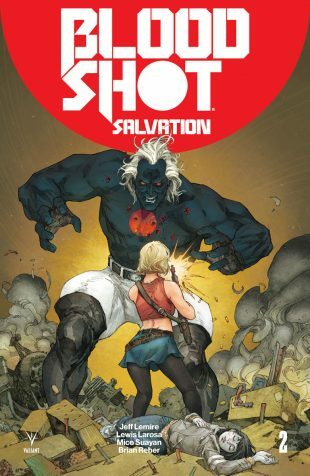 This October, Ray Garrison – the cutting-edge war machine codenamed Bloodshot – will be wrenched back into the destructive ways he left behind for a soul-shattering mission to save his wife and daughter from a gallery of terrifying new threats… His next target? 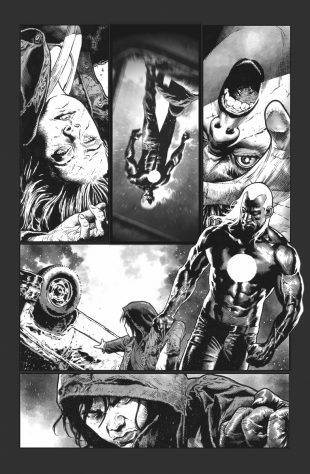 The technologically augmented powerhouse named Rampage! 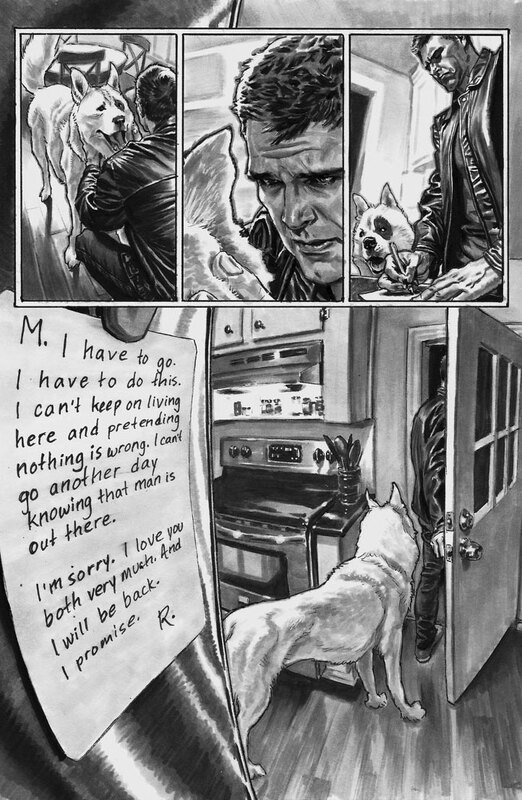 Meanwhile: In the near future, can Magic and the now-adolescent Jessie outmaneuver the killer called Rampage long enough to answer the question that has haunted them for years… Whatever happened to the man they both loved? Whatever happened to Bloodshot? 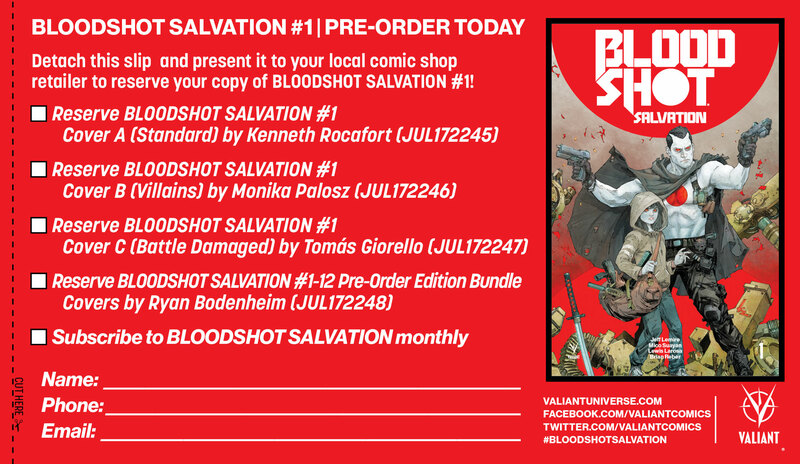 This October, Jeff Lemire, Lewis LaRosa, and Mico Suayan soldier forward into a heartbreaking tale of villains, vengeance, and vendettas soon to be fulfilled that will define Bloodshot’s future once and for all time, only in BLOODSHOT SALVATION #2 – featuring covers by Kenneth Rocafort (The Ultimates), Monika Palosz (X-O MANOWAR), Philip Tan (Suicide Squad), Greg Smallwood (Moon Knight), and Glenn Fabry (Preacher)! 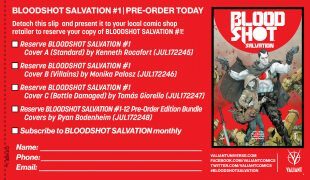 But first: A new beginning for Jeff Lemire’s Eisner nominated Bloodshot saga begins on September 20th in BLOODSHOT SALVATION #1 – the FIRST ISSUE of the BLOCKBUSTER NEW ONGOING SERIES from New York Times best-selling writer Jeff Lemire (BLOODSHOT REBORN, Black Hammer) and extraordinary artists Lewis LaRosa (BLOODSHOT REBORN, SAVAGE) and Mico Suayan (BLOODSHOT REBORN)! 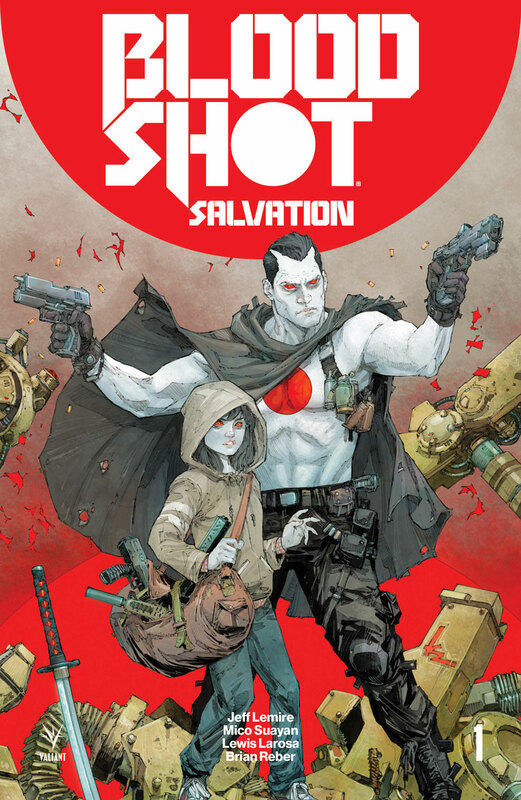 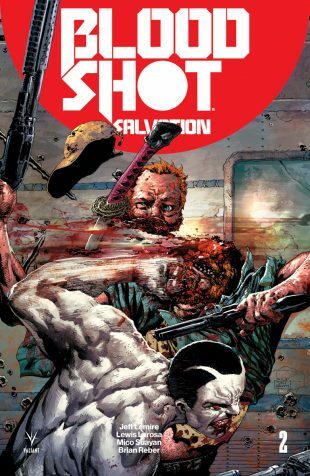 Violence awaits Valiant’s machine-made soldier as Ray Garrison and his newborn daughter, Jessie, enter an unforgiving gauntlet of punishment that will bleed into the dark future that awaits them both…and will forever redefine the tragic and brutal legacy of Bloodshot for years to come!